Starting on Thursday, PlayStation owners can help decide one of the free games offered alongside PlayStation Plus every month. As of today, we know what games you’ll be voting on, too. 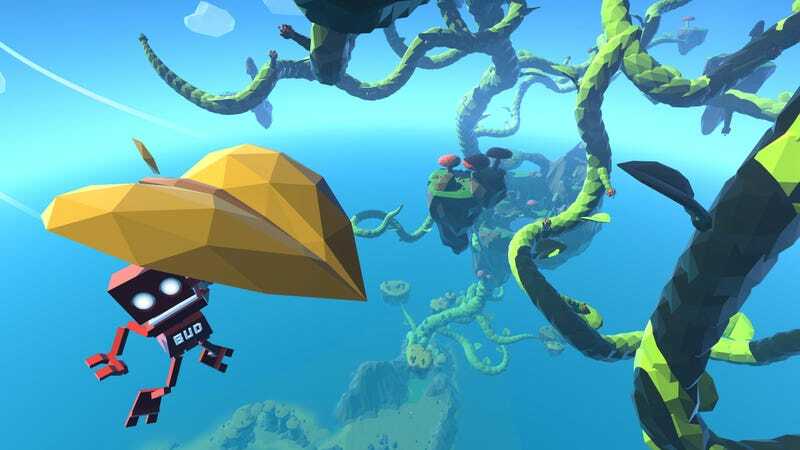 There’s some surprises, including the reveal of Grow Home for PlayStation 4. There are multiple games bundled with PS Plus every month, so this won’t stop Sony from partnering with specific developers and personally ushering them into the system. I mean, it’s hard to imagine anyone having voted for Rocket League ahead of release, and being part of PS Plus was a huge reason that took off. Sony’s trying to split the difference here; it’s a cool idea. The game that wins the voting process won’t cost PS Plus subscribers another dime, but they will get discounts on the other two games. If you’re a PS Plus member and you want to cast your vote, simply log on to PS4 with your PSN account, and access Vote to Play under “What’s New,” “Notifications,” or visit the PS Plus section of the PlayStation Store, where you’ll find details for Vote to Play. You have a few days to consider your choice, but lemme tell you, Grow Home is friggin’ great.